This is one of the first attempts I made with Photogrammetry, and probably one of the ones I am most happy with. 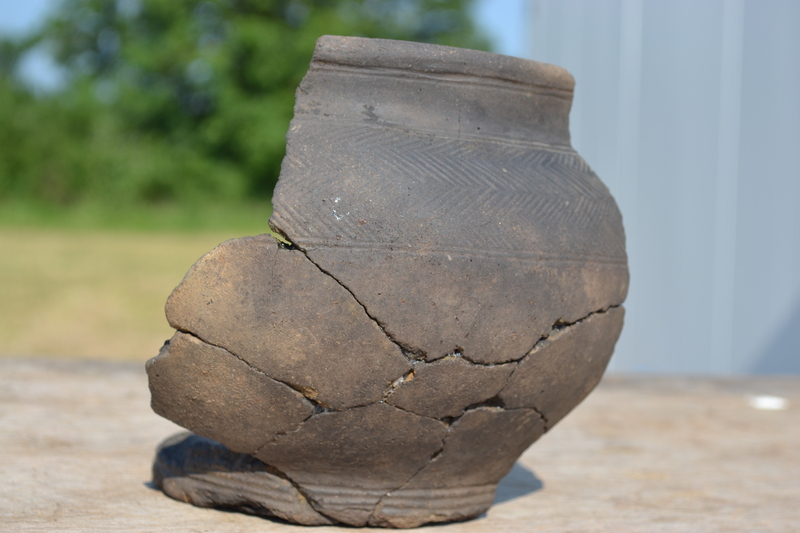 It is a beautiful pot found during the 2011 excavation, and that was glued together to show how it would have been prior to destruction. I made the model using around 60 images with 123D Catch, and good natural lighting that brought out the contrasts well, especially with regards to the decoration. The thing I am extremely happy with is that I was able to create both sides, something which I was struggling to do before, and which was probably helped with the large number of images. The animation itself was made using the tool in 123D Catch, which is ideal to display the model, although it is hard to create a non-wavy video, as this one shows. Still, in absence of suitable programs, or updated browsers for Sketchfab, it is an ideal tool, as it can be uploaded to youtube and shared with anyone interested.